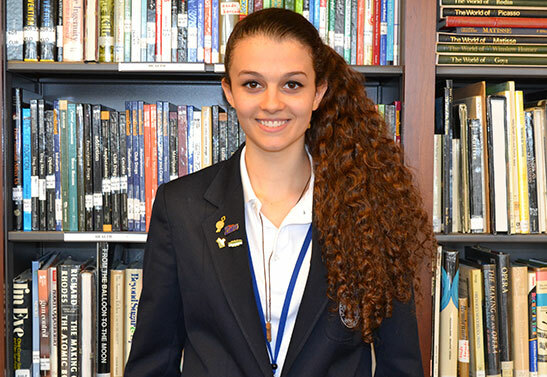 Academy of the Holy Angels is very pleased to announce that sophomore Nicole Margiotta, who is from Englewood, was awarded a Silver Key in the National Scholastic Art & Writing Competition for her short story entitled, “Creation.” She had been awarded a Gold Key for this piece in Regional Scholastic Art & Writing competition at which more than 300,000 submissions were considered. The New Jersey affiliate of the Scholastic Art & Writing Awards recognizes teenagers with exceptional artistic talent and offers opportunities to gain national recognition and scholarships for their work. Only those students who received Gold Key Awards in the regional competition were eligible to advance to the national competition.